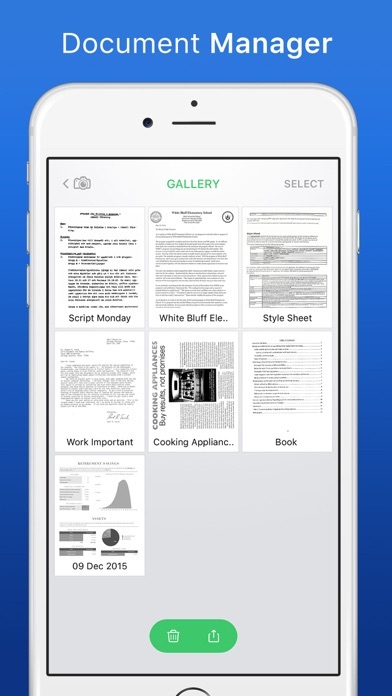 Organize your paperwork, photos, recipes and everything important to you. 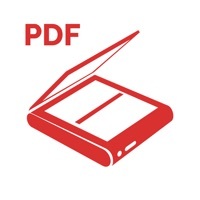 Scan & Save, it's your portable scanner....Anytime, Anywhere! 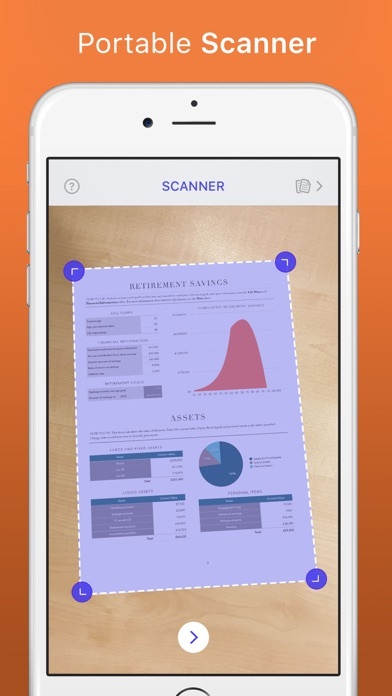 • Scan documents, receipts, photos, or everything important to you • Share your scans with whomever you want The scanner is able to correct perspective and automatically detect and crop the borders of your document. Don’t agree with the detected borders? Move them easily any direction you want and you will see that your document will be rotated to a perfectly straight image. 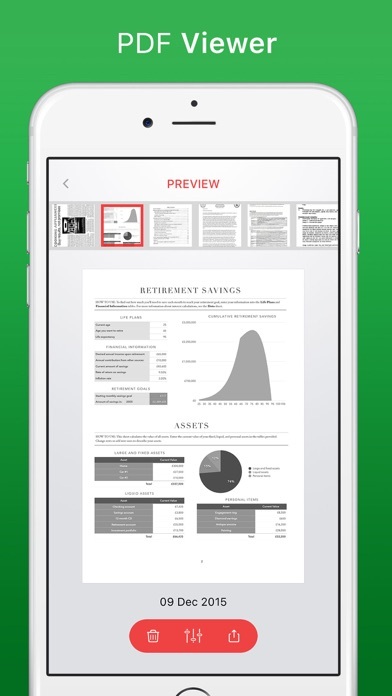 In the preview you can edit the file name, contrast & brightness, rotate the page and choose any A paper size you would like to save it as. Share your scan by email, social media or any other way you desire. 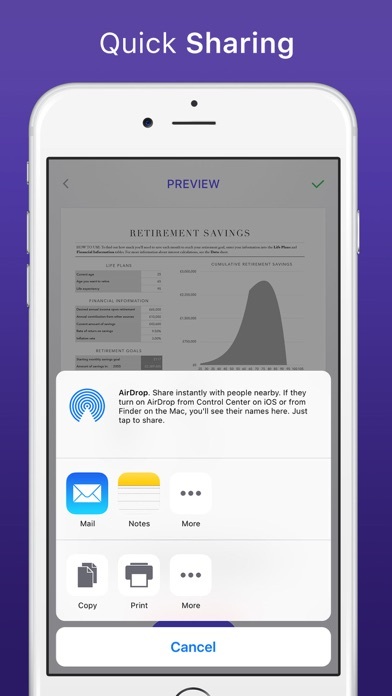 Print your scan directly from the preview mode, or save it in the gallery as a PDF. Smart Scan brings you all the features you need: • Automated scanning for borders • Scans as soon as it finds the document borders • You can manually adjust the borders right after scanning • Edit the document in the preview: change file name, adjust contrast & brightness, rotate, and choose from different page sizes • Saves your scan in a convenient gallery, in which you can select, share, delete and edit older files • Share your scan with just one tap! As always, we appreciate your feedback. Please email us at feedback@impalastudios.com with any suggestions or questions. If you are happy with this update, please let us know by rating and reviewing us in the App Store! 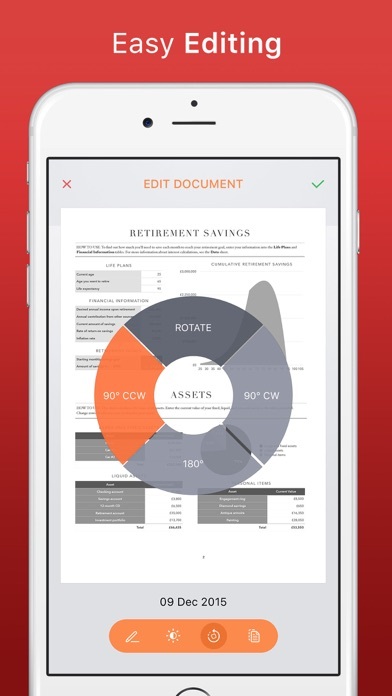 Smart Scanner is the future of organizing your paperwork!